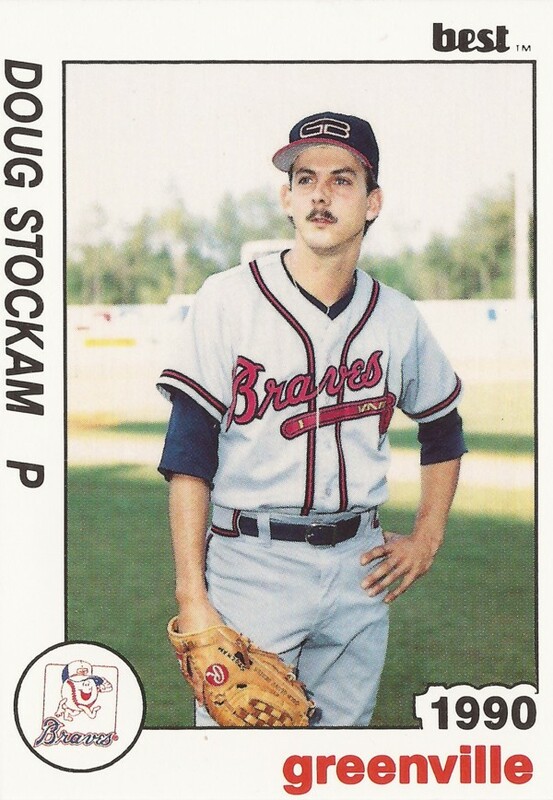 Doug Stockam had a good year in 1988 and he had good crowds to pitch in front of. That was because Stockam pitched that year for the single-A Durham Bulls. It was the same year that the classic film named for the team was released, according to WTSP.com. "There were Triple-A teams that didn't draw as many fans as we did that year," Stockam recalled to he Springfield, Mo., TV station years later. Stockam went 8-3 that year, with a 2.52 ERA. He continued that success the next year at AA Greenville, but he couldn't continue it further. He played four seasons as a pro, never making AAA. 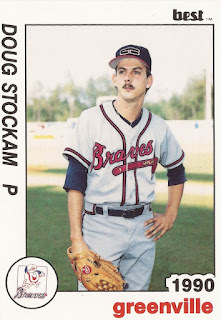 Stockam's career began in 1987, signed by the Braves as a free agent out of Missouri Southern State College. At Missouri Southern, Stockam started 47 games over his four years, a school record. He also struck out a record 206 batters over his time there. With the Braves, Stockam started at rookie Pulaski. He went 6-0 over 15 outings, seven starts. He also had a 1.68 ERA. He then moved to Durham for 1988 and then to AA Greenville for 1989. At Greenville, Stockam went 7-4 over 53 relief outings. He also had a 2.33 ERA. He got one win in a May game for Greenville. He picked up another win in the game that sent Greenville to the league championship series. Stockam returned to Greenville for 1990. He got into 34 games and ended with a 5.21 ERA. It was his final season as a pro.